Family friendly community bar & dining. 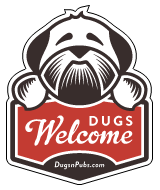 Dogs welcome in the bar area. This is a great pub for a wee drink or a meal . The staff are very good with our westie providing her with water and treats . All in all a great place to visit.